Season 9 of MST3K contained a staggering number of episodes that would instantly become stone-cold classics. 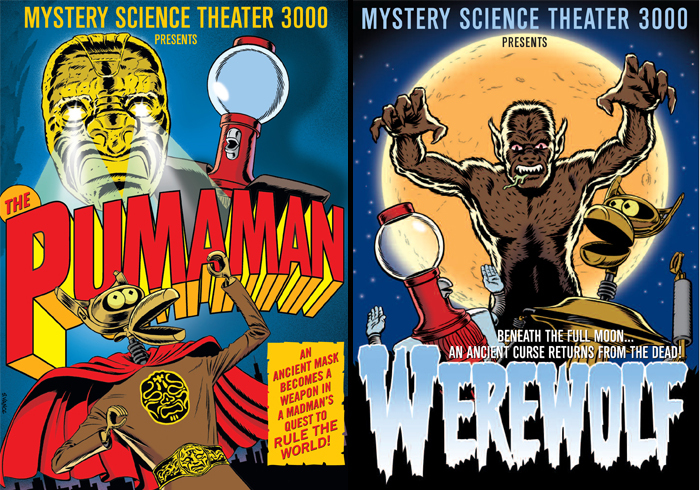 Two of those episodes came in a row: Experiment 903 - The Pumaman (thep-yoo-may-min) and Experiment 904 - Werewolf (whar-wilf). Now these two fan favorite episodes have been added to Shout! Factory TV so you can watch them to your heart's delight.